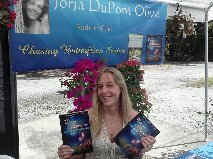 Over the last year I have been asked many questions about writing, my books, and the how I went about getting started. At times I would be stumped and really had to think on how to answer them. I wanted to answer them as honestly as possible with out any clichés. (I love clichés, and metaphors.) So over the last year I have jotted down these questions. I thought long and hard how to answer each one. (mostly for my on purpose.) Today I would like to share these questions and answers with you. 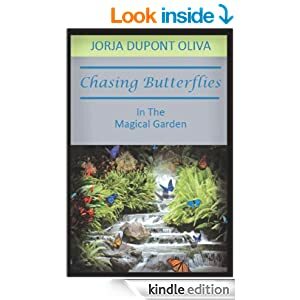 QUESTION #1 -How did you come up with the title to book one- Chasing Butterflies in the Magical Garden? QUESTION #2-How long did it take you to write? Book one took me 44 days I took 2 hours every night (my TV time) and just wrote. Book two took me 3 months. I wrote when I was able too(I loved to sneak off and write when kids were at school). I took my time on that one. (Book two was a cleaner version than book one at the end of the story, due to learning with book one.) So “the stories” were written quickly. The writing process seems to come naturally to me. My weakness is the editing and rewriting(Which now after two books I’m getting that down too!) I work anywhere from 6-8 weeks (Depending on how fast the proofreader’s get back to me) cleaning up errors and content that may be hard to understand. I’m old-fashioned so I still send my manuscripts out to proofers with red pen and on paper. (Just like I am being graded in school.) I probably go over my work at least 100 times before it gets sent to a professional editor. (So at times, writing the story is the easy part.) As this process is happening I sometimes get idea’s that expand the story. QUESTION #3- What made you write a book? I never planned to write a book. It just happened. (Really it did! That wasn’t the answer I wanted to give but I didn’t know exactly how to explain.) I would always “say” I was going to write a book some day but never “meant” it. 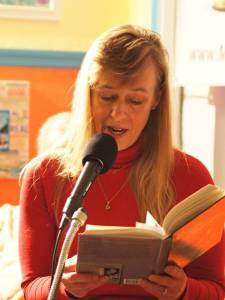 My mother wrote for our local news paper for years and always wanted to write children’s books. So maybe the fact that she always said it played part in why I always “Said” it. What I did want was to maybe find a new occupation or learn to do something I never have done before. (I was going through some kind of middle life crisis at 42 years old.) So I started wanting to go back to school. Money and the lack of was holding me back from college. (I do still want to go back!) I wanted to start with something that I could dedicate to and still take care of my family. 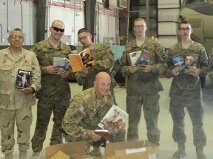 Going through an Adult Community Education newsletter I saw a class that gave me a vision.-“Maybe I could write a book like the ones I love to read. Magical!” The class was “Go write and you can’t go wrong” How to write a book in thirty days. The teacher’s name was Michael Ray King and he was a 9 times published author. Which made me remember my mother always wanting to write children’s books, so I went to her house to see if she would be interested in taking this easy 6 week class with me. It wasn’t a pass or fail kind of class, you either did or you didn’t. My mother agreed (Which by the way she has several books she has in the works but doesn’t ever plan to publish them.-But I still do!) So we took the class, and that’s how it all started. I did exactly as Michael Ray King taught and I was loving it. I became addicted to my new-found joy! QUESTION#4-What was the idea behind the meanings or creatures of air and earth in book one? I am an animal lover. I have many animals (most were given to us from people who were no longer able to care for them). Dogs, chickens, pigs, and a cockatoo named Casper. Oh… a hamster, lizard, and fish. Yes there is a lot. Each one unique and with its own set of needs. We care for these animals daily and give them the best life possible. 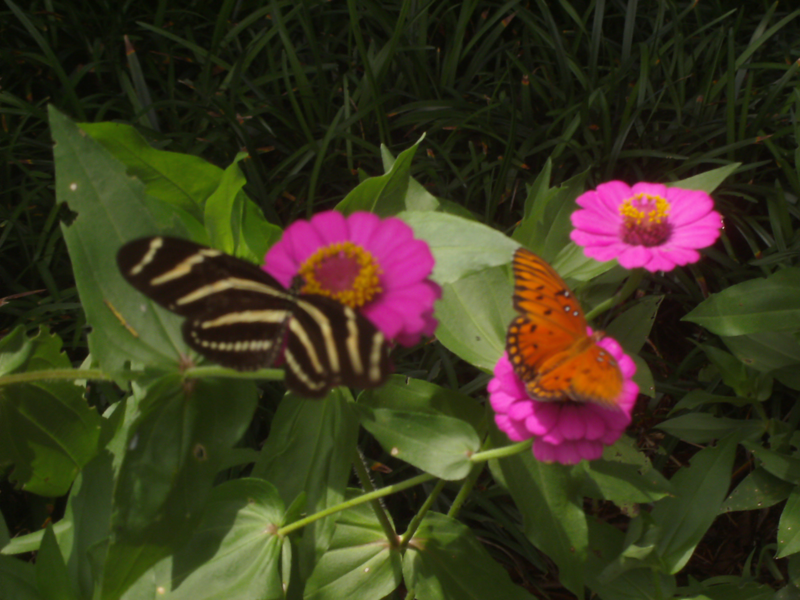 I would observe them a lot and I could see how they socialize very similar to humans. That being said, they inspired me to start researching animal meanings. Life of Pi was just coming out on pay per view so it also sparked my interest even more. I researched and found all kinds of cool stuff. At first I was going to have it in the story (kind of hidden) but very few people would find it or get it. Unless I explained it. So that is why I decided on adding the creatures of air and earth glossary. (So now I’ve unknowingly started branding my style.) I do have to tell you, many people knew I was researching animal meanings, and would ask me what certain animals meant. So that was my validation that it was needed in the book. My editor suggested the prologue with the creatures of air and earth talking about the humans. (Again unknowingly branding myself.) And by the way that’s one of my favorite parts of the Chasing Butterflies Series books. 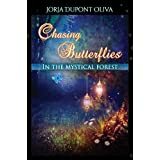 QUESTION#5-How did the meanings of tree’s come about in book two? As a child, my father worked for the forestry service, and that probably brought on my love of tree’s. As a kid he would take us on rides in the woods and he would teach us things about trees. Just as the animals inspired me to do research, so did the idea of tree meanings. I also have many tree’s where I live. Oak, cedar, and some pine , again I would observe them. How they grew, how they swayed and how different they appeared. A lot like with the animals they too were unique and with its own set of needs. A lot like humans. That is how Mystical Forest started to evolve. QUESTION#6- What are you working on now? 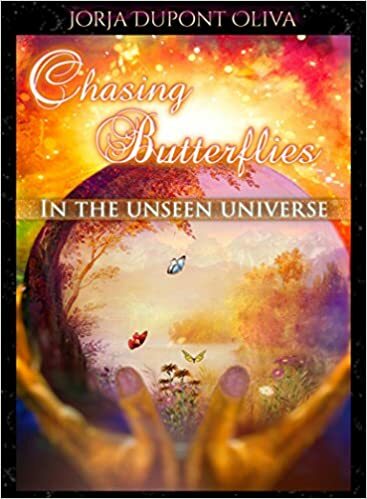 Book three Chasing Butterflies in the Unseen Universe. I always look up to the stars and make wishes. This was an idea that sparked again while writing book two. I always was intrigued with the idea that stars we see here on earth have died millions of years ago but yet we still see them. Again like humans I see my grandparents now in my parents and my parents now in myself, and my self in my children, just like the stars. So with that being said, look for some kind of star related meanings in book three.-2015/2016. I am improving with writing so I am trying some more complicated idea’s with this story. I will say that writing only takes a pen and a paper. So to write it doesn’t cost you much to get started. (So don’t let money every stop you from writing!) I haven’t made any money as of yet, but I see it as an investment in myself. Money is needed to get your book out there. I have put money out with the books I have donated and paying for the professional editing. Also publishing fee’s and art work, etc… I am very proud to say in one year most of those money’s have been paid back and only 1/4 of that is still waiting. So I believe that’s pretty good for my new business adventure. (I’m not making a living on two books, but I’m not stopping at two either!) I would love to be able to make a living on my writing. I see it actually happening someday, but today it is not the case. I am being paid in other ways. 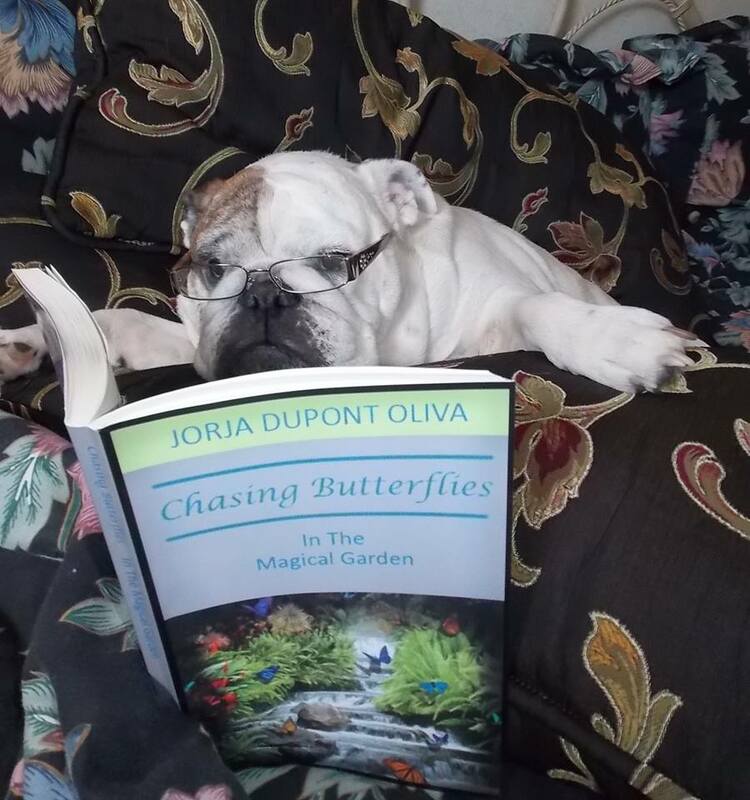 I have readers tell me they loved my writing and that is priceless. I also love to do it and that is priceless. My family is proud of me and that is priceless. My friends are inspired and that too is priceless. So to answer- Am I making any money?-no but I’m being rewarded with things money could never touch! QUESTION #8- All of your characters have some kind of quirky flaw what is the reason for that? My characters are perfect. Just like the animals and the tree’s each of us are unique and with our own set of needs. So flaws is my idea of perfection in a character. Over the years I have come to believe our so-called flaws may actually be our gifts. So we as people should embrace them not hide or look down on them. QUESTION #9- If you could describe your book series in one sentence what would it be? MORE QUESTION AND ANSWERS TO BE CONTINUE…..